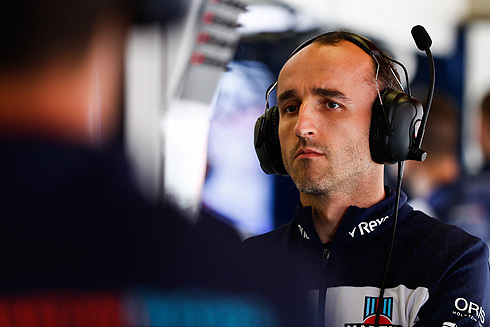 After a lengthy period of speculation as to who would join George Russell as the second 2019 Williams racing driver the reports across various media outlets would have current reserve driver Robert Kubica taking on this role. It is expected that the announcement from the team will take place on the 22nd November. Polish radio RMF FM would state: "Our journalists have learned that the sponsor of the team will be (Polish oil company) PKN Orlen, who have allocated 10 million euros." The rprt added: "It is one of the largest sponsorship projects in the history of Polish companies. PKN logos will appear on the car and the clothing of Robert and the whole team." A video confirming the Kubica news seen on the official F1 website, even though it was subsequently deleted, which confirmed the return of Robert to the Williams team. Finally some more good news amongst a year of total disasters. 3 MORE BITS OF CHAFF GONE. Edited 1 time(s). Last edit at 2018:11:22:11:50:24 by GPL. I want to be excited by this, but I have a big nagging doubt. Will we find that Kubica is fast but crashes a lot? My thinking is that the much discussed hand might become an issue when the car does something unexpected. There have been a number of remarks that appear to have come from Robert himself saying that he presses on the steering wheel rather than grasping it. This clearly seems to work most of the time, but when it comes to the race weekend a single case when it doesn't work may see the car in the wall. Whilst I am sure that Williams have considered this possibility as either non existent or one that is a reasonable risk to take , are they biased by the sponsorship he is bringing? I think Ian has a valid concern but I think if Robert was able to drive a Rally. Car again after his accident, surely that would be more intense and violent than anything a formula 1 car could throw at him. As far as I was aware it was always the tight cockpit and rotational issues that were of concern in single seaters. A position in the car that dictates a different driving position. Strength over a Grand prix distance might be of concern but I'm sure he has done a grand prix distance on the sim. Hopefully more actual car time will now aid his progress. Sure it is just for the moneys but it is the correct choice at the moment. If the chassis is no good, just waste of money to have a top driver, like what I said in the beginning of this season. Once u get a winning chassis, worthwhile to pay to get a top driver to fight for higher positions, or even the title. So need not think too much about how kubica can drive the car fast. But his response for developing the car is of bigger value. Edited 1 time(s). Last edit at 2018:11:23:09:22:03 by Carinni. Fortunately the very basics they can simulate his full range of motions in the simulator. What they cannot simulate though is g force. He has done a lot of running with no suggestion that he's just gonna bury the car in the wall, nor that his arm will cause him any hindrance at 6g. Watching him do the hairpin at abu dhabi doesn't look brilliant, but we shall see. As we know nothing about his real pace, it's difficult to be overly positive or negative at this point. I'll just leave this here.The human story is just too difficult for me to ignore above all the noise spouted on this and other boards. Five and a half hours into the 2016 Le Mans 24 hours race, the cameras cut to the garages to show the rather unusual sight of a driver being hoisted into his car with the assistance of his mechanics. The man in question was Frédéric Sausset and he was about to make history by becoming the first quadruple amputee to compete in the iconic race. Not only did Sausset manage to finish the race, with the help of teammates Christophe Tinseau and Jean-Bernard Bouvet, but he also had the privilege to be on the podium in front of tens of thousands of fans. There has been hardly a public person in the paddock who didn’t greet and congratulate Robert on his return. 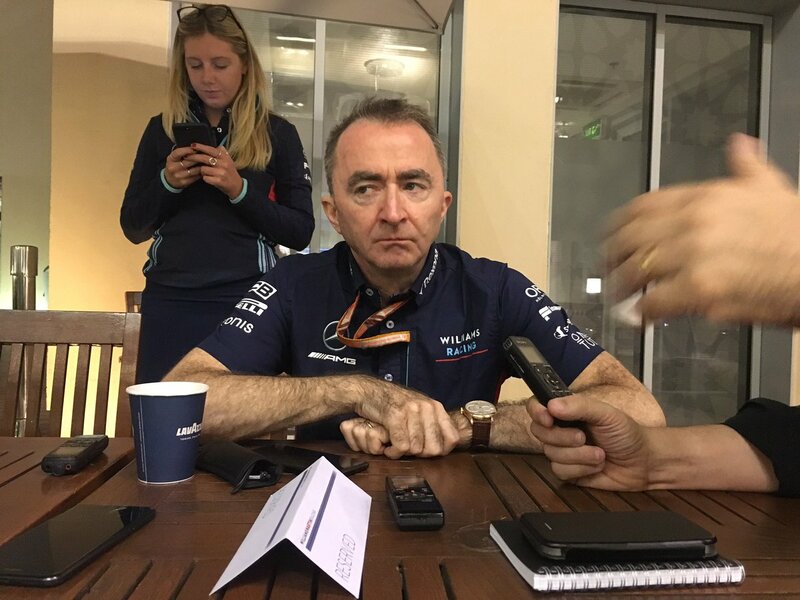 There is some information surfacing that it was Paddy who orchestrated the whole Sirotkin thing (indeed he was very vocal on his qualities), making his achievements in Williams looking even less stellar. It would really add insult to injury of being accountable for making one of the worst cars in the team history. Isn’t he not speaking because hardly anyone, including Claire, would care to listen any longer? That sounds way off the mark. I can very much remember this time of last year the word around everywhere (here included) was that how much Paddy pushed for Kubica & got disappointed by Sirotkin taking the seat...It was a pure guess by Kubica's fans by the time without any source and now a year has gone and another claim without any source. The "they don't listen to Lowe anymore" part is funny too.If he is there and is a TD with some possible shares, he is there to be listened.What do you mean of that? It's not a family thing.If the owners didn't believe him they could very much show him the door. The only reason you can think of Lowe not being happy with Kubica joining can be his performance.Afterall Paddy knows the best where he is, better than anybody else...But to me, that's not the case. Oh, he is speaking allright. Pretty sure he just spends less time st the track as he's more use in the factory. Paddy has a point to prove now. Edited 1 time(s). Last edit at 2018:11:26:07:11:48 by siwy_dymek.